While in Colorado my family asked me if there was anything I wanted to do and of all the wonderful things you can do in Colorado a farmer's market immediately popped into my head. I had just been to an amazing farmers market up in Whidbey and I wanted to see what Colorado had to offer. A quick search on google showed us that the Old Colorado city had a farmer's market close to us. They had so much good stuff you guys and I left with my arms literally full! The food is fresh from farms and I love the fact that I get to meet the people who grew my food. I also really enjoying knowing I'm supporting someone in the area. Basket of black beans - $4.00 - Guys! I eat black beans like I'm still living in Brazil and a big basket for $4 bucks is AMAZING! I didn't take pictures at the market but I have been taking pictures of the food I have made from the market. Basically, if you have a farmer's market near, you must go! Woodward has one and there are a total of 4 trucks / farmers. I haven't been yet this year because we have been gone so much but I will be going soon. Even though the market here is small they still have some really great stuff! Do you go to the farmer's market near you? If so, what's your favorite thing to get? Yum yum yum!!! I am hoping to get to a farmers market soon!!! I love them! 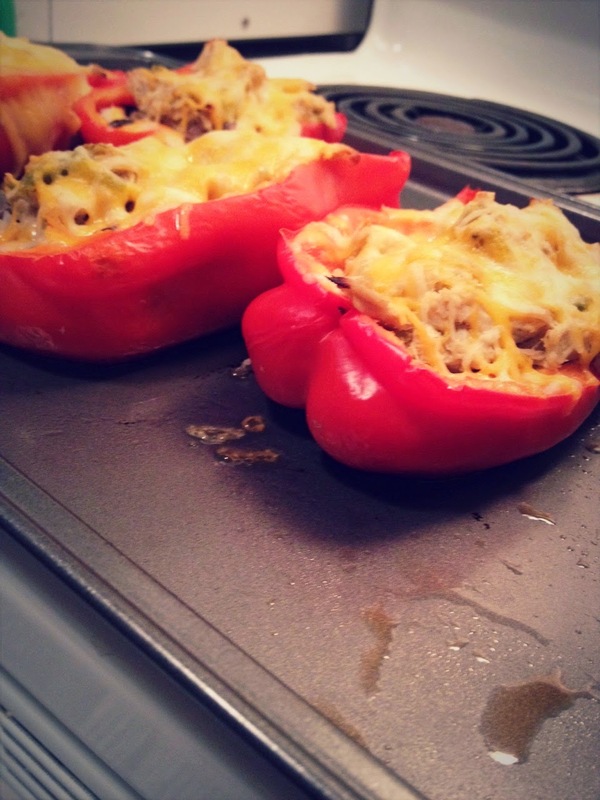 Stuffed peppers sound SO good! so, now i'm super hungry looking at that delicious food!!! black beans are my favorite too! you know we have a few small farmers markets here but i have never been - this has inspired me! Oh yum! we are having stuffed peppers tonight! 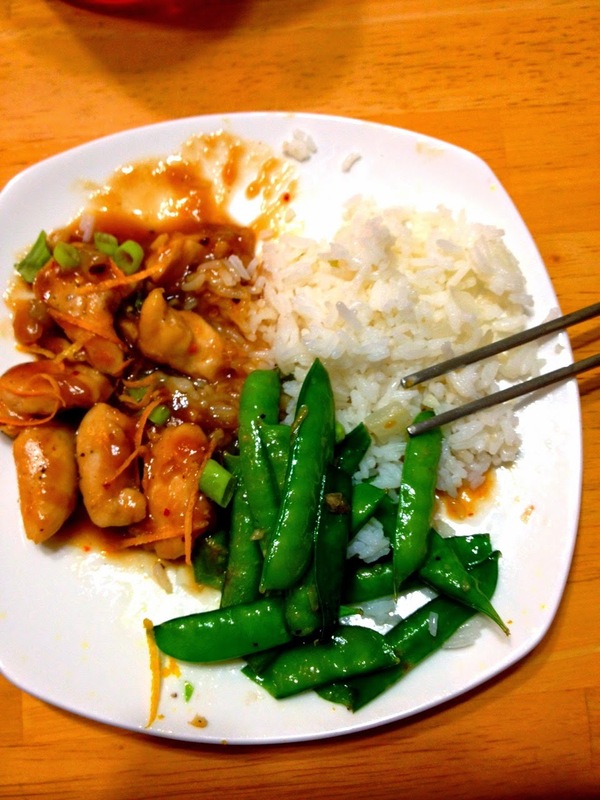 such a great and cheap meal in the summer!!! yay for farmer's markets! Yumm!! What do you put in your peppers? I love it because it is so filling and super healthy. I can eat 1/2 a pepper and be satisfied (although I usually eat the whole thing =) ). Local honey! That is awesome. I wish they had local honey here where I live because I have ridiculous allergies. I do also love the local vendors at the markets. It's fun to meet the people who grew the food. I'm so glad someone else LOVES black beans. Have I told you that while I was in Korea we asked for black beans and received 26 bags!!! We were known as the 'black bean girls'. ha ha! You should totally hit up your local farmer's market. They are awesome. I hope you get to go soon. They really are great. I normally do some kind of grain, so barley, quinoa or rice along with chicken or ground turkey, corn, and onions and then some homemade taco seasoning and cheese! I have made a cream sauce before also and mixed it into the filling! It was good too! That sounds super good! I never thought about barley or quinoa. I might have to try that one out. Enjoy your dinner! Those prices??? I am so jealous! I absolutely love farmers markets! It's the perfect little outing to go on! And all those black beans for 4 dollars? I also eat black beans like no one's business, they are my fave! I am glad to have stumbled upon your blog! Cheers to black beans!!! I had friends send me black beans when I lived in Korea and ended up with 26 BAGS OF BEANS! It was awesome. I'm glad you stopped by!!! Do you live near a farmers market? You need to come over and cook for me! Those peppers look yum. That's a bummer they don't have good ones near. Yes, to the NW! We bought 3 loaves of bread at the farmers market in Whidbey and they were gone the next day. So good and fresh! Thanks, Felecia! I'm glad you enjoy them too. Do you go often? What's your favorite thing to buy. I'd totally cook for you. I LOVE cooking. I don't go as often as I would like. I do enjoy getting fruit from Farmer's Market as well as Snap Peas and finding vegetable I have never heard of before. I got purple yams (Japanese Sweet Potato) which was a neat find. Purple Yams is a sweet find! Glad you have gotten to go some.